As I noticed when I visited Cambridge University Botanic Garden in July. 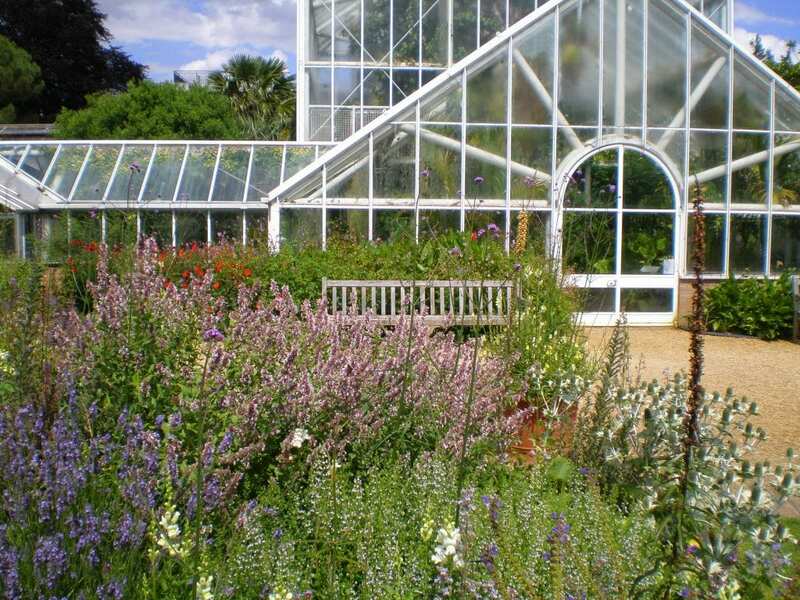 The gardens are curated by lavender expert Dr Tim Upson (his PhD is in lavender! ), and I was fascinated by his extensive collection there. Surprisingly, not all lavenders seemed equally attractive to bees, with some plants seeming to host hundreds at a time, while only one or two visited others. So if you’re out shopping for bee-friendly plants, it’s probably best to see if you can see any insects visiting them before you buy! 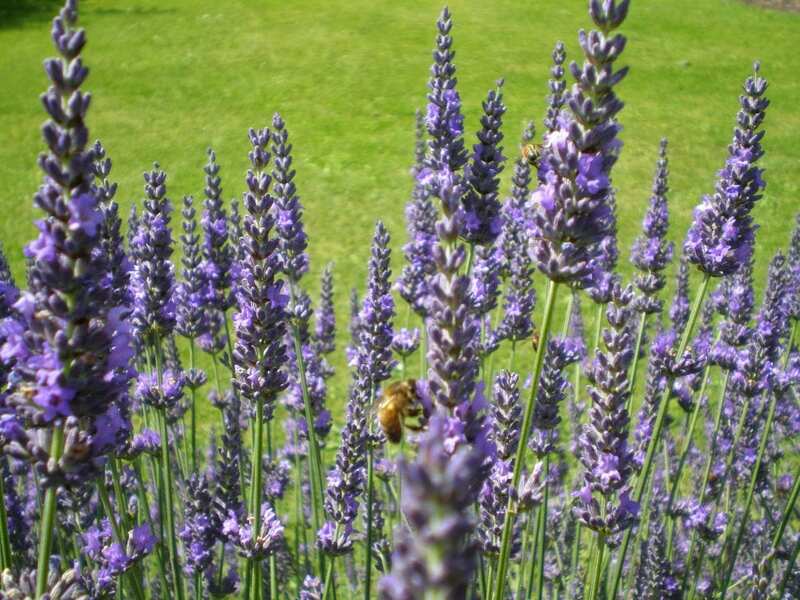 Thinking about bees and lavender makes me consider the connection between lavender as an insect repellent and as a good source of nectar. 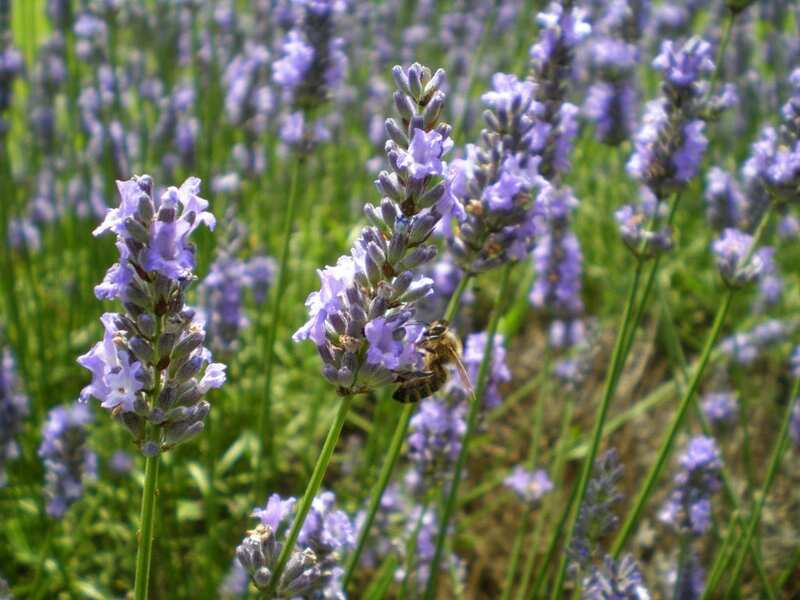 Lavender plants (particularly Intermedia) produce essential oils which contain camphor compounds. These are unpalatable to insects, which is why dried lavender makes such a good repellent. So why have I just posted two photos and a video of bees on Lavandula X Intermedia varieties? I think that there is a trade off in bees where the instinct to avoid camphor laden plants is overridden by the benefits to the bee of the quantities of pollen & nectar to be had. Incidentally, the lavender essential oils which are most soothing and most commonly used in aromatherapy are the Angustifolia varieties, which have a much lower camphor level. I wonder – if I compared the number of bees on Angustifolia varieties with those on Intermedia – would there be a correlation? I think another trip to Cambridge might be in order! Lavender as an insect repellent – put the dried flowers in a bag in your wardrobe. Choosing lavender to dry – some flowers may have a better colour or fragrance than others when dried. Drying lavender at home – hang up some flower bunches to dry.